he design of the Parker Facet was inspired by natural crystal formations and Parker wanted to incorporate the multiple elements of the pen into a pure, geometric form. 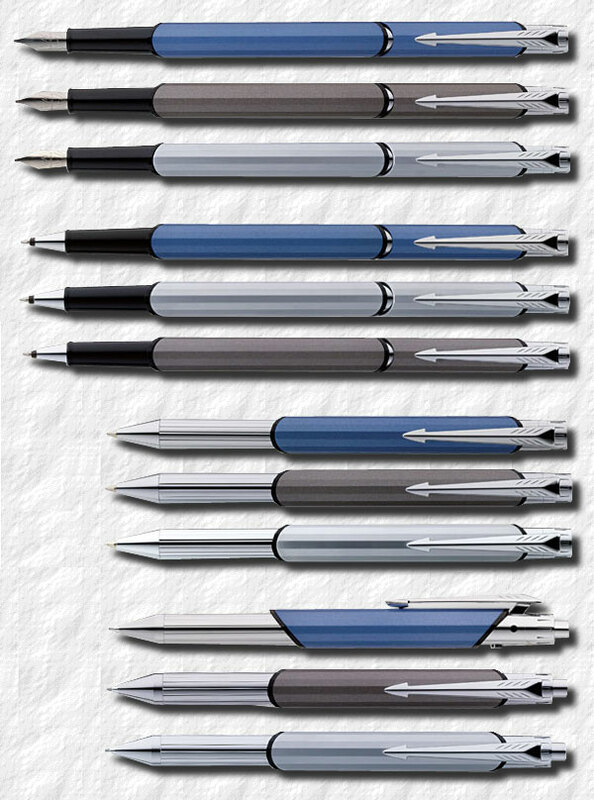 It was introduced in 2008 and was offered as a fountain pen, roller ball, ball pen and as a trio/multi pen. The fountain pen was fitted with a stainless steel nib and took the mini ink cartridges only. Two nib grades were offered, fine and medium. The roller ball was cap actuated and the ball pen was twist actuated. he trio was fitted with a medium red ball pen, a black ball pen and a pencil fitted with 0.5 millimeter HB leads. It worked with a gravity mechanism with ventilated push button.